Do you ever try a beauty product and after the first use, want to tell every single person you know, and even those you don't know, about it? But you have to take your time, give it it a few more goes before you declare your undying love for it because what if that first instant love was just a fluke? 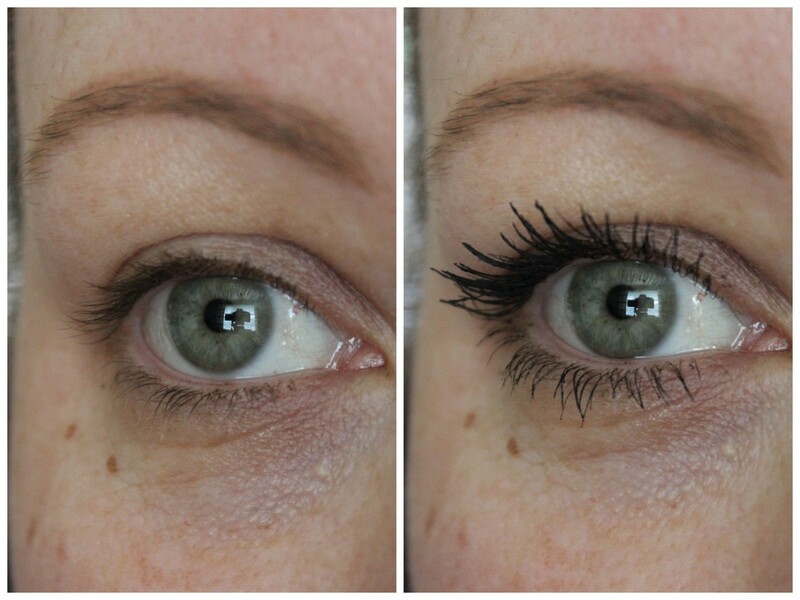 After trying this mascara from Bourjois, the Volume 1 second mascara in Ultra Black for a couple of weeks now, I do declare that I love it more than any other Bourjois mascara I've ever tried. 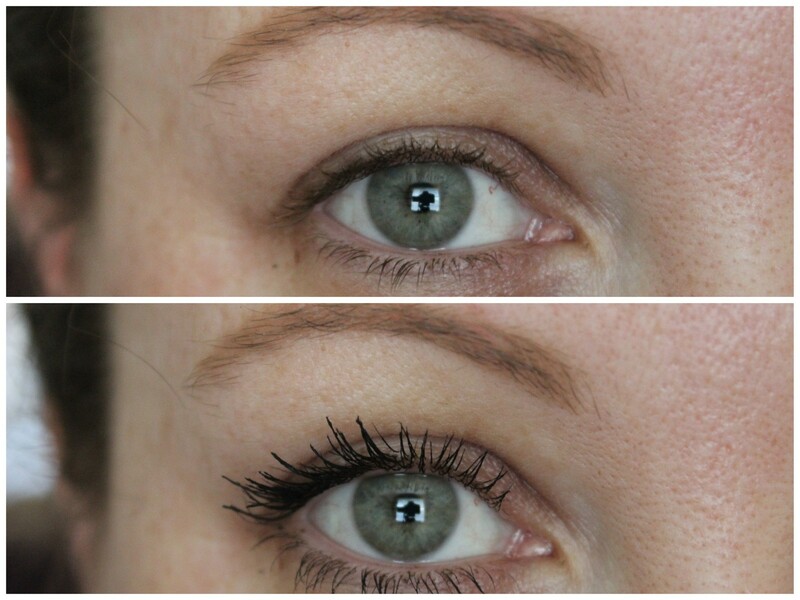 Now, last summer I loved and repurchased the Volume 1 second mascara, even wearing the waterproof version to Joanne's wedding because I wanted something fantastic and that wouldn't budge. And I still deem that to be my favourite waterproof mascara. But this version, the ultra black version is The Actual Business. Housed in pewter packaging and containing the same thick wand with little balls and plastic bristles as the previous version, I knew we were going to get on. Even if it was just another version of the original, I'd have been happy out. But it's better. So much better! I love dramatic lashes, even for day time wear and this is one I'd happily wear on it's own, no need for eyeshadow. I'm late leaving the house all the time, so a lot of the time, shadow isn't happening, but this more than makes up for it and I still look like I've made an effort. The formula is just as thick as the original and can be prone to initial clumping, but once I apply the product to my lashes and comb through them with what's left on the brush, this is the effect it gives. We're talking lift, curl, volume and lots of drama. The other day I applied one coat and then had to tight line the upper waterline because the lashes were so curled that all I could see was flesh. Ok I hate that word, but you know what I mean! The mascara gives me the illusion of thicker lashes, especially at the base, meaning I don't need to use liner. And because I've a hooded eye and liner can be hidden with it, I love that I can still define my eyes without taking up any precious lid space. And because of the lift and curl, combined with the fact that I always apply more product on the outer lashes, it gives me the wide eyed look. This is mucho importante when I'm trying to cut back to one coffee a day. Longevity is fantastic with no smudging or flaking and I really can't fault it at all. This mascara will set you back a very reasonable €12.99 and at the moment Boots have an offer where if you spend €20 on Bourjois products, you get a free gift worth €27! This is definitely a mascara worth checking out if you're on the hunt for something that'll give you thick, dramatic lashes. 10/10 lads. 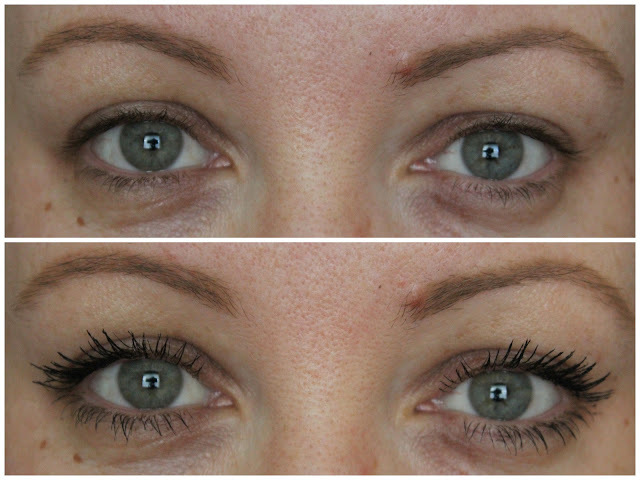 Other mascaras, you're going to need to bring it to outdo this beaut! I loooooooooooooooooooooooooooooooooooooooooooooooooooooooooooooooove this - I FINISHED ONE!!!!!! I don't think I've finished a makeup thing in the last ten years!!! It's the absolute dogs doodahs. Great prize. Would certainly be put to great use for all the family now the summer has arrived.